Shock Tower Export Brace for 64-70 Mustang and 67-70 Cougar - Braces firewall to shock towers. 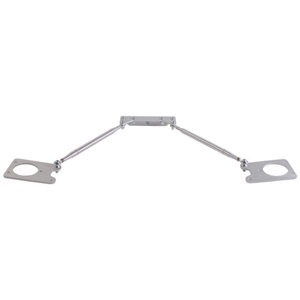 Includes: firewall and shock tower brackets, aluminum radius rods, and rod ends. Note: Does NOT fit late model 5.0 EFI conversions.